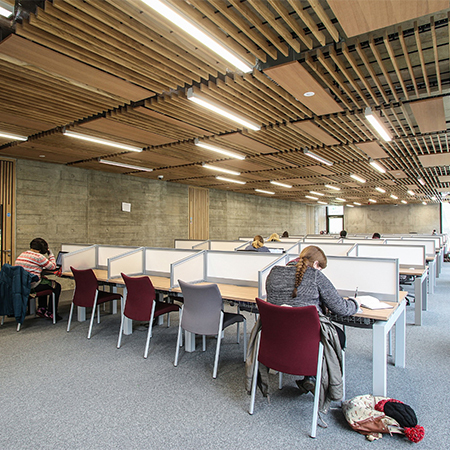 Hunter Douglas has provided creative solutions for the ceiling of the impressive, new £26 million Student Centre at the University of Essex. 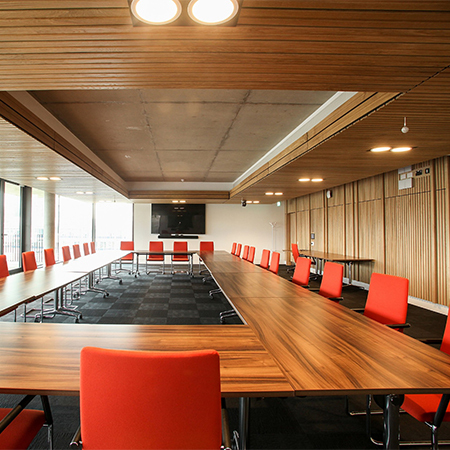 The design for the ceiling at the new Silberrad Student Centre at the university’s Colchester campus saw the team devise a creative solution to accommodate the 70m2 solid wood open linear European oak ceiling. As well using a patented clip used to secure the panels to the sendzimir galvanised steel suspension rails, the panels, which appear to float, required specially made metal fixings to accommodate the non-standard width. 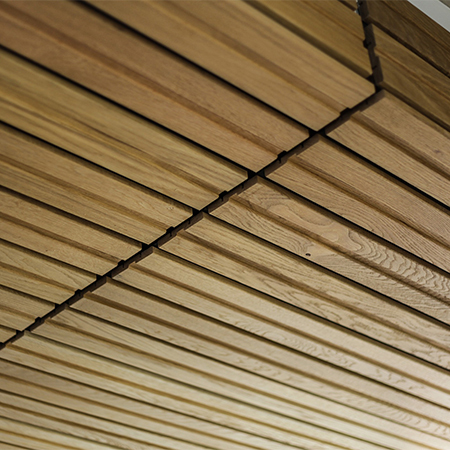 The original design called for a panel width that was narrower than the metal fixing clip, so Hunter Douglas suggested a wider panel with a deep groove in the front to give the appearance of very narrow boards.